Tiberiu Vasilescu and Mihai Grădină aka We Are Creepz, are two local producers and DJs with a solid passion for electronic music. Based in Timişoara, they have dedicated their last ten years digging for various sounds from all around the world, developing a unique approach to production and mixing at the same time. It is time now to have them as our guests for the jukebox series, with a recording that explores deep feelings and rhythms altogether. The duo likes to experiment with electronic dance music, blending ambient, progressive, deep electronica, future garage, broken and straight 4×4 beats. With experience in composing film scores and delivering intense live performances, they push things forward, challenging the listener to embrace the new sounds. Fusing classical techniques and patterns with a modern vision, The Creepz manage to bring forward mesmerising sonic experiences every time. Their debut album “Floating Teens” released on AMDISCS: Future Reserve Label, as well as their independent uploads on Bandcamp and Youtube, stand as an argument for their work and intriguing concept. The future sure looks loaded with surprises coming from the two artists, so stay tuned! 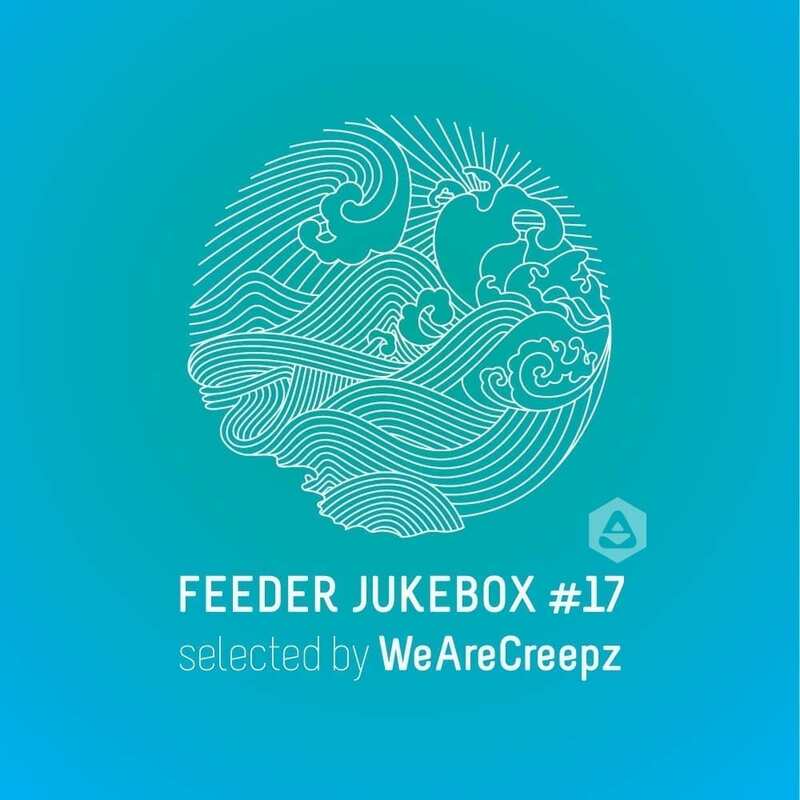 feeder jukebox #17 selected by We Are Creepz elegantly fuses the emotional spectre of music with psych and alluring percussion, conjuring mystifying ambience and suspense. The groovy selection provides both uplifting and introspective moments, flowing from one cut to the next with elegance. The tracks themselves are carefully picked in order to amaze and to make one daydream, while the tempo builds the atmosphere, keeping a steady and subtle melodic vibration from the first track to the last. This recording includes some of their latest tracks spiced with intense sequences and simmered down by mellow mixes.